With professional drivers, our shuttle and private airport pickup service will get you to our hotel from 5 to 10 minutes for Free. We also drop you wherever you want, near the hotel while staying at our hotel: to your conference venue, to meet a friend, or anywhere else you want, our drivers will get you there. We have a van with enough space to accommodate more than fifteen people, we can also pickup a group of many people, for Free, which would save you a lot of dollars, and your precious time. When you book a room in our hotel, we shift all your burdens upon us, from the time you land to the airport, to the time you checkout, your wish is our command. Room 221 with a spa bath! Free airport transfers, welcome cold drink and hot towels! We only had one night. 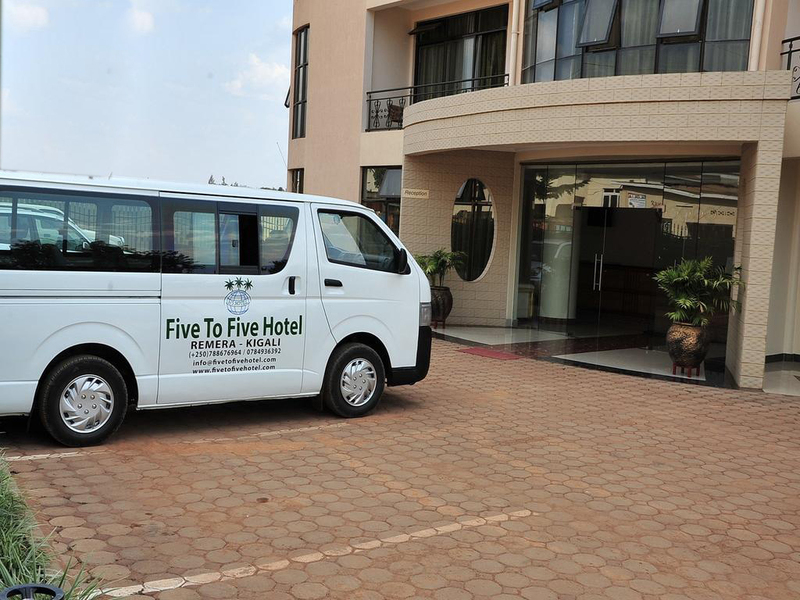 Location was chosen due to proximity to Kigali airport as we have a night time arrival. The hotel provided complimentary airport pickup. The driver was very professional and welcoming and stopped at a local ATM at our request on the way to the hotel. This place is quite the bargain… They have an airport shuttle, nice breakfast, good WIFI, spacious rooms, all at a low cost. The personnel are ALL helpful. Because of flight times we stayed here at the beginning and end of our trip to Rwanda/Uganda. The hotel provides free airport transfers in their own minibus and were waiting for us with ubiquitous name card in arrivals.